Shu shows Toriko the Bubble Fruit in the courtyard, but Toriko’s hunter’s instincts disturb the fruit and cause it to pop. 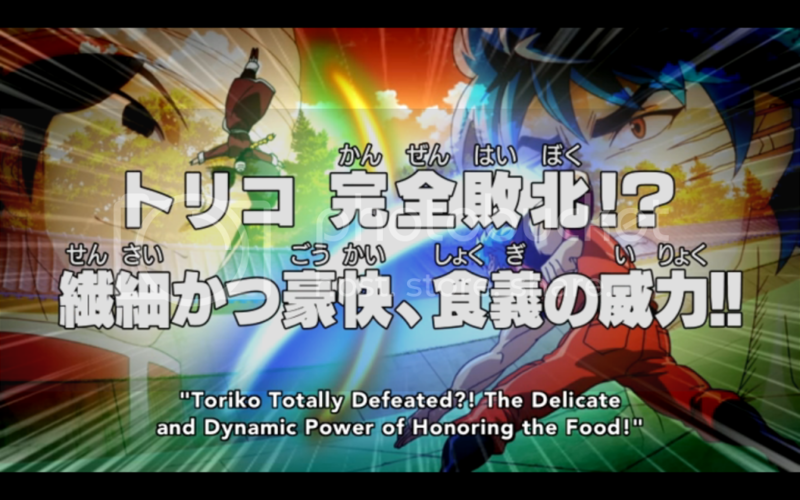 Shu has Toriko fight him to demonstrate what honoring the food can do even with very little energy. Toriko is worn down and unable to defeat the much weaker Shu. 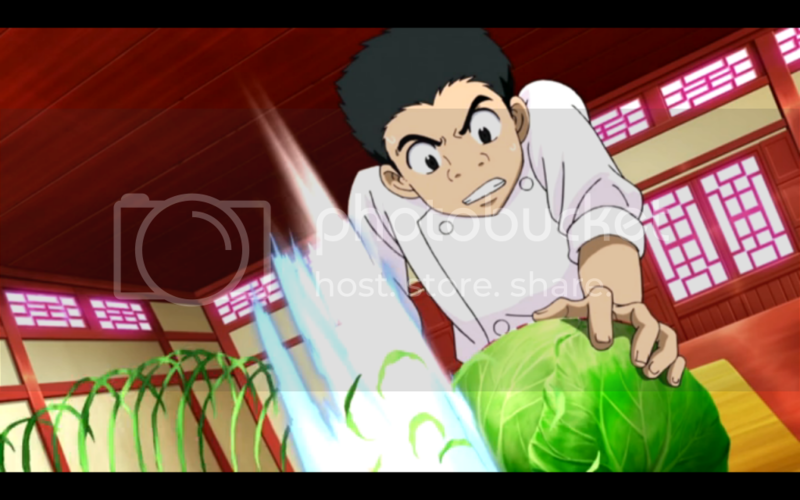 Shu then demonstrates how honoring food can help Komatsu by defeating him in a cabbage shredding competition. It really goes to show how important action is to Toriko. 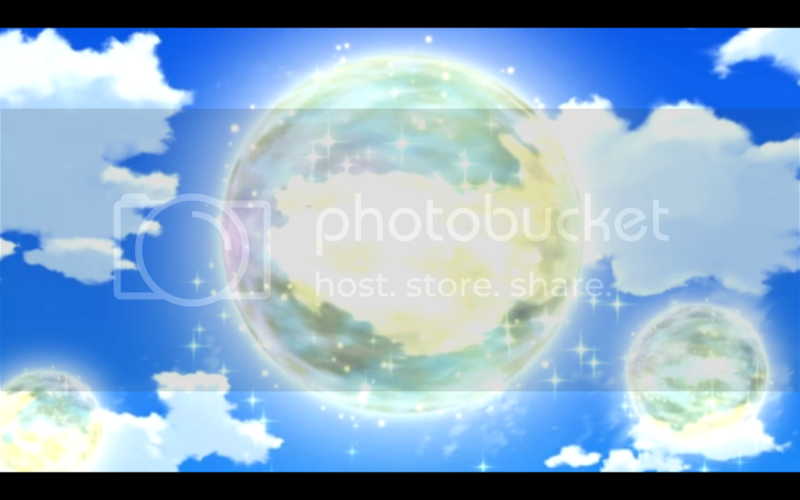 After episodes and episodes of what felt like filler but wasn’t actually, even a small fight is a welcome relief. There’s a difference between filling time with dialogue that drags and filling time with a pointless fight. I certainly know which I prefer. That’s not to say this fight was pointless. 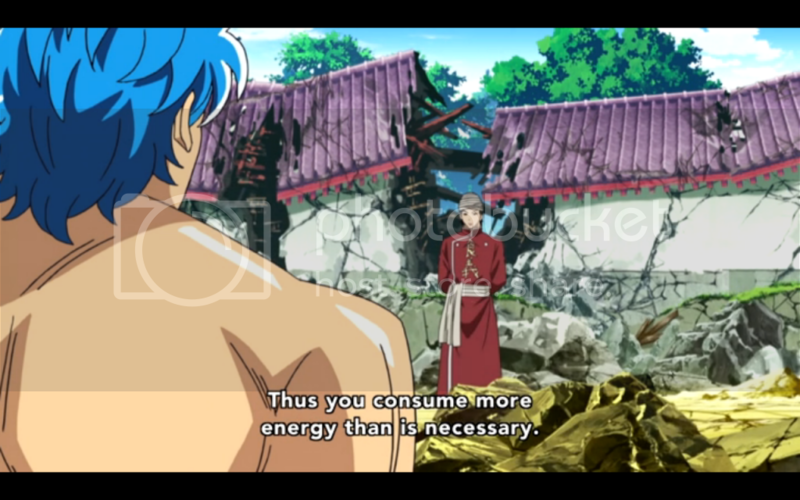 In fact it introduces the idea that Toriko could power up even further, but he does it in a way that focuses more on conserving his energy rather than a new big attack. 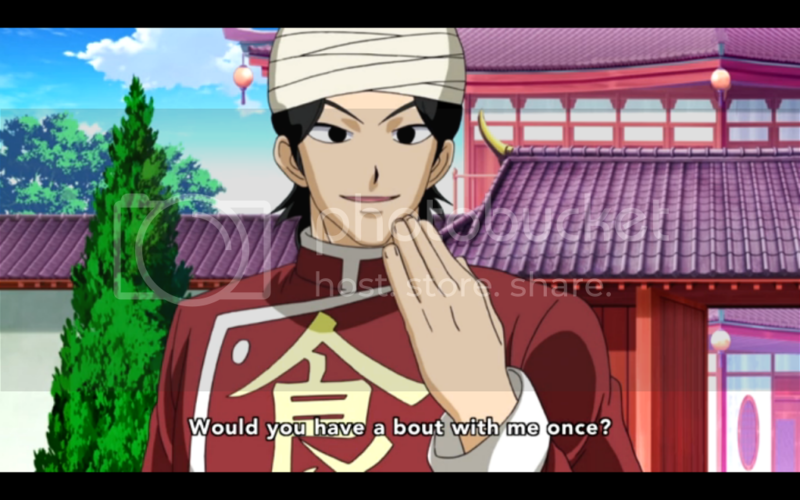 It’s an idea that I don’t see too often, and I look forward to seeing how the anime handles Toriko’s upcoming upgrade. The animation in the fight is a lot better than we’ve gotten in the past few episodes. It really helps the fluidity of the fight scenes stand out when everything else is ridiculously stiff. I know that you don’t need to spend much of the animation budget on dialogue, but maybe a trickle here and there to make it look as good as the fight scenes do would be nice. Especially considering how much of this series is dialogue. With how much time is focused on Toriko, it’s nice to see that Komatsu gets a bit of focus as well. 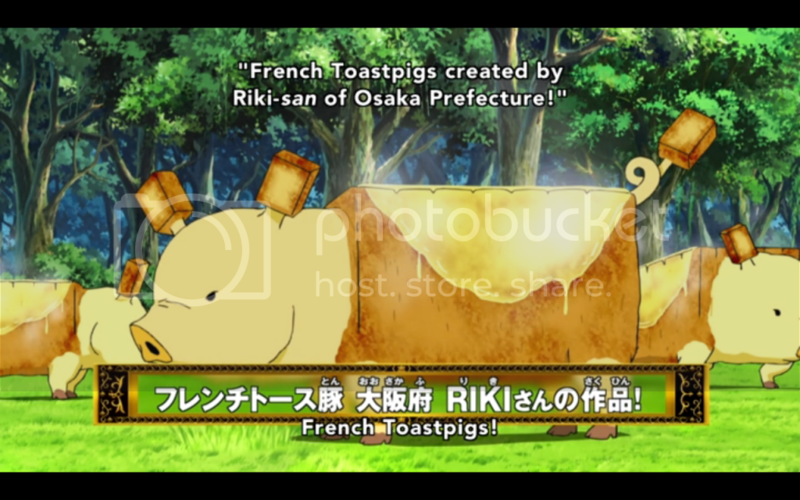 Cooks are important in this world, so seeing more time spent developing him would be much appreciated. I must say that the soundtrack has gotten an upgrade as well. The overtly Japanese themes are accented by the additions to the soundtrack and I think they work nicely. 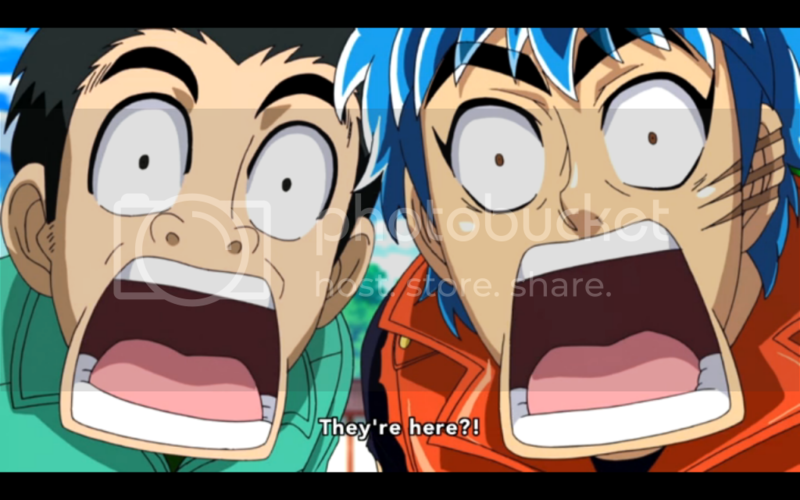 Toriko’s soundtrack doesn’t vary much so it makes me wonder when the second OST will be released.